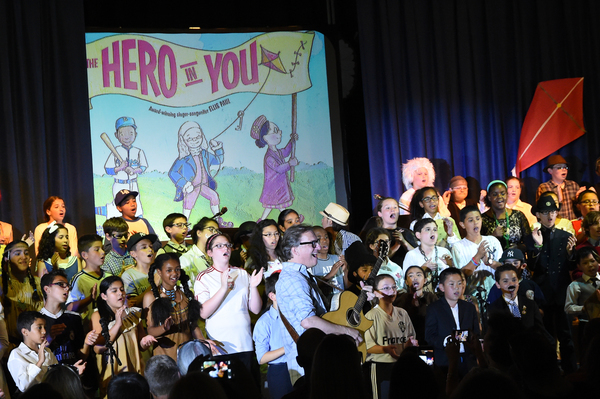 Ellis has created a musical celebration of the heroes from his book, "The Hero in You"! It's a celebration of history, with songs and stories to inspire every child. We send you the script, musical score, the original CD, a karaoke CD, and guidance to create this event for your community. Listen to some of the music below or click here for a sample of "The Hero in You" script. Click the link below to see Brookdale Elementary perform "The Hero in You". "My students love performing "The Hero In You". The songs are so fresh and poignant and the subject matter complements our school's curriculum. Even more, there is a lifelong message. Dream big! There's a hero in you!" Choose from two levels of materials that offer everything you need to bring the hero experience to your students and families, no theater experience necessary! 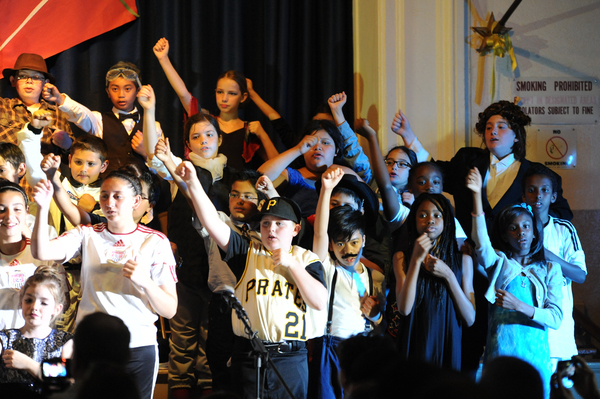 The script offers roles for 13 students to play a hero as well as a chorus that can be as large or as small as needed. Feel free to adapt the script to best suit your students, and check out the teacher's guide for costume and prop suggestions. We recommend a book and a CD for each class or teacher involved in order to make the most of the "Hero" experience. - 30 minute Skype visit with Ellis! 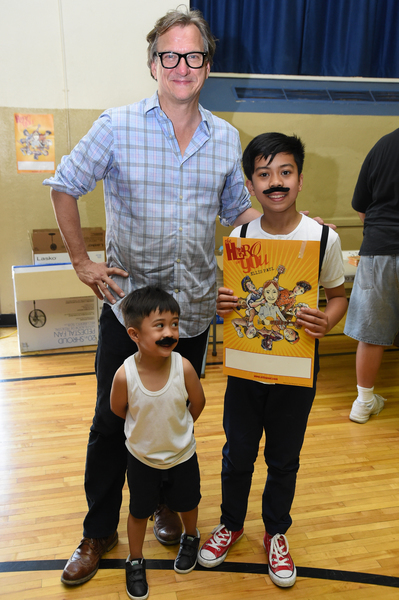 Create a special day for your students and have Ellis Paul come to a rehearsal or to your school's production of "The Hero in You"! Ellis can visit your students and sing with them on their favorite "Hero" songs or even join in as part of the chorus during the show. The Musical "The Hero in You" comes with a script, music for piano and guitar, and a karaoke CD. Ellis can appear in person with the kids via skype or in person to encourage the kids and participate in a day of rehearsals or the show itself. The Musical has very brief introductions to songs by the kids themselves dressed as their heroes, Rosa Parks, Ben Franklin, Jackie Robinson etc, in costumes made by the kids themselves. The chorus of kids are dressed as their favorite heroes as well. Ellis' team will send books and CDs to your school for sale at the performances with proceeds split between the school and Ellis. If tickets are sold, Ellis gets 10% of ticket sales and revenue from merchandise is split 70/30. Click here to watch Brookdale Elementary perform "The Hero In You"